In the summer of 1994, when a flying saucer lands in the Allens' backyard, family patriarch and environmental activist Ernest is up in arms. According to the company facilitating the visits, the spaceship is 100 percent non-toxic, but as Ernest's panic increases, so do his questions. Neon Green does not coast on easy nostalgia. Rather, it employs its nineties milieu toward aims infinitely more insightful and subtle than mere pastiche ... 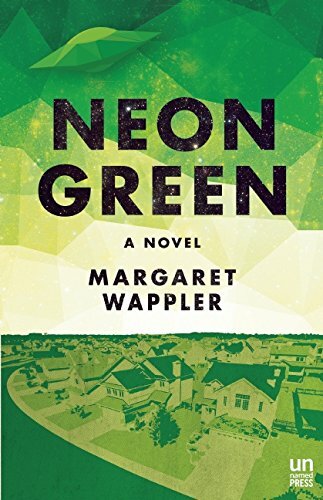 Neon Green hits a lot of familiar beats one expects from the 'family drama' novel. 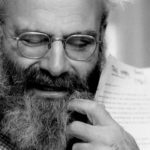 What makes it flourish, however, is not so much the grounded wackiness of its sprinklings of sci-fi but rather its sensitive handling of its characters, which is never less than absolutely truthful. Thus Wappler uses the spaceship to demonstrate how each family member deals with their frustration and anger. It pulls them apart and brings them together. At times, it’s like Wappler is asking: wouldn’t it be nice to have something physical, sitting in your backyard, that you could blame all your problems on? Cynthia’s illness takes center stage in the second half of the book, and you begin to forget that spaceships aren’t something that actually existed in the 1990s. And although the premise may seem lighthearted and fun at the onset, Wappler doesn’t pull any emotional punches. In the end, it’s a thoughtful, unusual, and challenging family drama. A closer cousin to Neon Green is Don DeLillo’s 1985 novel White Noise, partly because of its mysterious-invader-in-the-burbs plot, but also because of its downbeat brand of satire ... But as Cynthia’s health worsens, the overall mood dims and Wappler writes in a dry, plainspoken tenor...At times these tonal shifts can be queasy-making, and some of the plot mechanics in Neon Green aren’t entirely persuasive ... But Wappler has found an entertaining way to make a point that’s often neglected in suburban and alien-invader novels: Being an outsider is a matter of perspective. What did you think of Neon Green?